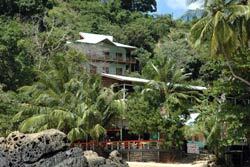 Rates are quoted in British Pounds (GBP) and are per apartment, for up to four people. Bookings are confirmed with a 10% non refundable deposit. With the balance payable one month before departure. Paying through Pay Pal is one of the safest ways of transferring cash on the Internet and accounts for more transactions than any other money transfer business on the Internet. Payees Rights are protected by National and International law as are vendors Rights. To confirm your booking send 10% of the total via the Pay Pal system. You will recieve a receipt from them for the monies which are non refundable. The balance must be paid one month before you are due to travel.